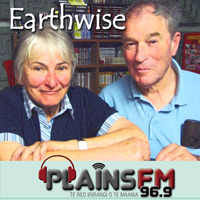 Every Earthwise programme features a discussion on conservation, environment or peace with justice. The interview might be with a local Cantabrian, with someone in a different part of the country, or a distinguished person from overseas. Broadcast on the first and third Monday evening at 9pm repeated the following Wednesday at 9:30am. The choice of topics varies considerably. Earthwise hopes that people who are especially interested in conservation will also find peace with justice issues interesting and vice versa. Every programme is promoted on several email lists depending on the feature topic.If you miss them on-air, check out their podcasts. President Trump plans for a 'Space Force', yet another branch of the military. Also, Israeli military post in Alaska. JVP has published Deadly Exchange Report, describing how US law enforcement agencies receive training in Israel. The Israel Lobby, so powerful in the US may have overstepped itself this time. By pressuring a Birmingham Alabama rights group to rescind a special award that was to go to Angela Davis, the Israel lobby has angered many in the American public. Julian Assange dare not leave the London Ecudorean Embassy, for fear of being handed over to the US. Federico Fuentes, writer for GreenLeftWeekly. Brazil has a new president, Jair Bolsonaro. Workers, indigenous Brazilians, and environmentalists are very very worried. The Atta Jaber Story, Extreme Violence imposed on a Palestinian Farming Family.